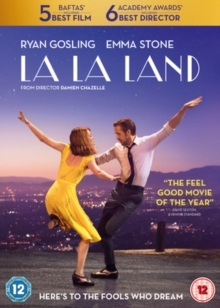 Damien Chazelle writes and directs this romantic musical starring Emma Stone and Ryan Gosling. 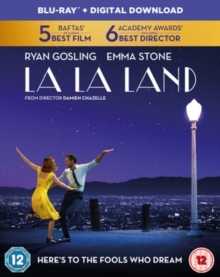 Aspiring actress Mia (Stone) and jazz musician Sebastian (Gosling) are both down on their luck in Los Angeles, a city of broken dreams. Tired of being rejected in auditions and reduced to serving stars their coffees, Mia stumbles into a jazz club to the entrancing melody of a piano being played within; there she finds Sebastian, who is being discarded by his boss. The two soon fall in love as they strive to truly make something of themselves. But the rocky road of pursuing their dreams may prove too much strain for their budding romance to bear. 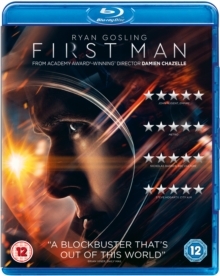 The film was nominated for eleven BAFTAs, winning five including Best Film, Best Director (Chazelle) and Best Leading Actress (Stone), and seven Golden Globe Awards, winning in all seven categories including Best Motion Picture - Comedy Or Musical, Best Performance By an Actor in a Motion Picture - Comedy Or Musical (Gosling) and Best Performance By an Actress in a Motion Picture - Comedy Or Musical (Stone). 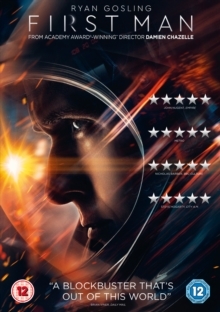 The film was also nominated for 14 Academy Awards, winning six including Best Actress (Stone), Best Director (Chazelle) and Best Original Music Score (Justin Hurwitz).